Air Traffic Controllers provide separation services to aircraft operating in the National Airspace System to expedite and maintain a safe and orderly flow of air traffic. Because controllers have an enormous responsibility to protect the lives and property of U.S. citizens, the air traffic control profession is often regarded as one of the most stressful jobs in the world. Potential students should be focused, able to perform multiple tasks simultaneously, and have good math and logic skills. Candidates must also have school or work records that illustrate good conduct, personal responsibility, professionalism, and effective communication skills. Hampton University offers two options for potential candidates; Bachelor of Science (B.S.) degree in Aviation Management, Air Traffic Control as well as the online program leading to the Associate of Science degree in Aviation Management, Air Traffic Control. 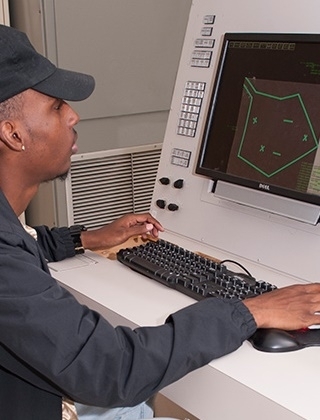 Hampton is the only HBCU to be an approved FAA ATC-Collegiate Training Initiative program. Majors learn Air Traffic Control (ATC) principles and procedures in simulated tower and radar environments. In addition, graduates who earn a B.S. degree in Aviation Management position themselves for management positions within the FAA. The goal of the Aviation Management, Air Traffic Control degree program is to prepare students for the employment as Air Traffic Control Specialists and similar careers fields that will benefit aviation and the transportation industry as a whole. This program is an approved Federal Aviation Administration (FAA) Air Traffic-Collegiate Training Initiative (CTI) program. In addition, the program will stimulate program excellence and self-improvement, maintain uniform educational quality with industry standards, and increase the credibility, integrity, and acceptance of collegiate aviation programs among industry, government, and the public-at-large. Students will demonstrate leadership capabilities and high moral values. The Hampton University Aviation program is and will remain accredited by the Aviation Accreditation Board International (AABI). Be a United States citizen and, if required, registered for the selective service. Receive an official school recommendation. Each school determines the criteria for recommendation to the FAA, which could include grade point average, attendance, and/or a Capstone project or test. Have NOT reached age 31 prior to be hired. Keep this in mind as you determine whether you can complete the academic program in this time frame. You should also allow AT LEAST 6 months from time of graduation to receive an appointment. Pass a rigorous medical examination. Successfully pass both a background and a security investigation. Achieve a score of at least 70 on the FAA pre-employment test (ATSAT). Speak English clearly enough for others to understand you on communications equipment. Successfully complete an interview to determine whether the candidate possesses the personal characteristics necessary for the performance of air traffic control work and that the candidate is able to speak English clearly enough to be understood over radios, intercoms, and similar communications equipment. Provided you meet all the requirements above, you will be allowed to apply for a job as an air traffic controller under the "CTI Announcement". Selection for a job as an air traffic controller is dependent on your application and resume, experience, where you are willing to work and your ATSAT score. Once you have been selected and have received a Firm Offer Letter, you will be scheduled to begin your training at the FAA Academy in Oklahoma City to become an air traffic controller. As a graduate of the CTI Program you will bypass the otherwise required course of "Air Traffic Basics" and be placed in "Initial Training" for the facility option for which you were selected. The length of training is 37 days for Tower and 62 days for En Route. After successful completion of the initial training, you will go to your first facility for on the job training.